Here's a shout-out to my dear Dad, Dell K. Allen. He's a good soul and has been very patient with me over the years. :) Happy 83rd Birthday, Dad!!! As an Engineering Professor at Brigham Young University (BYU) for over 35 years, he often was able to find solutions to problems and figure things out. Dad worked hard. He'd often get home very late and dinner would be cold. But, he'd always be apologetic and Mom knew that he'd been occupied at work with research, teaching, writing, grading papers etc. The life of a University Professor is often filled with great dedication to the job and the deep desire to help students succeed. I think my dad filled this well and often went way beyond the call of duty. I respect him for that and for his honesty, integrity, and help for the thousands of students he worked with over the years. 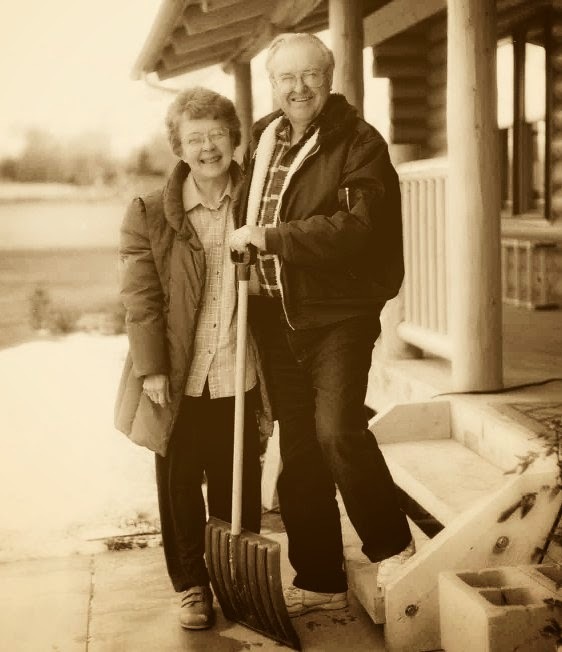 After he retired from BYU he and Mom moved back to Cache Valley, where they'd been raised. 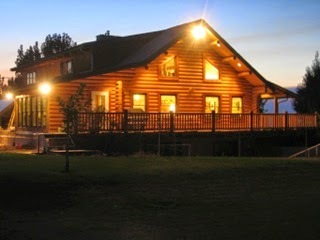 They built their 'dream log home' on the 4 acres that my grandfather (a dairy farmer) had left to each of his children. And....guess who was the engineer, contractor, builder etc? Yup. Dad was hands-on with it all and learned as he went. The comments we received after many of these assignments were overwhelmingly positive. He worked outside-the-box and helped them to learn to do the same. 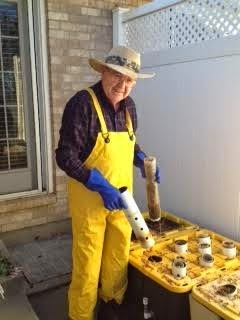 Dad grew up on a farm and after having to clean the chicken coop one-too-many-times realized it was not for him. 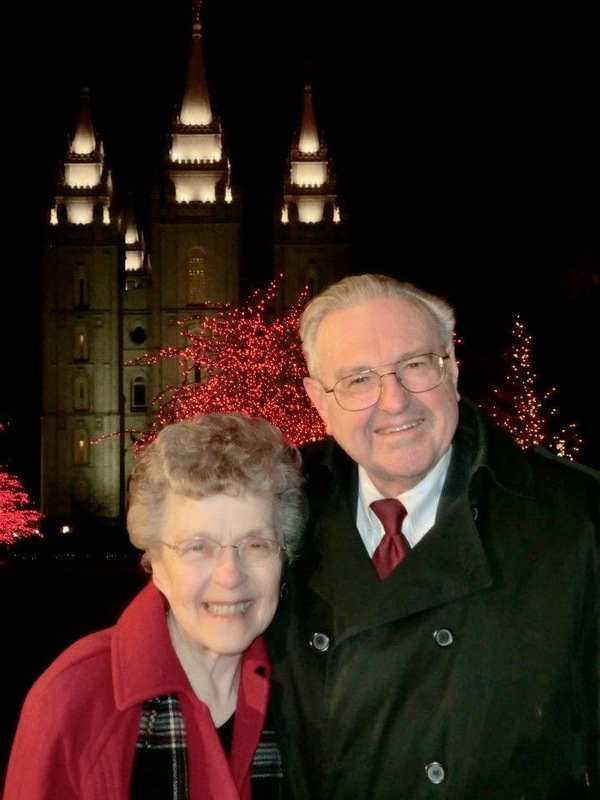 He worked hard to put himself through school, served an LDS mission to New Zealand, and then provided for and raised eight children. His wish for us has always been to develop our gifts and talents to be used in service to others' and to God. One of his many motto's that I remember was "I'd rather be taken advantage of than to take advantage of anyone." Dad has served his fellow man in his employment, in the community, on many governing boards, in years of church service, in his neighborhood, and as a published author for student's across the world. He's got a wall full of awards that I hung up a few years ago because they'd just been stored in a box and we didn't know what else to do with them. But, they're in the basement office and they don't mean as much to him as does his family and his own personal growth. 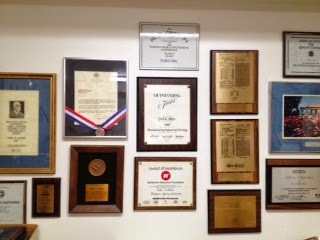 A few of his many awards of 'Achievement"
My thoughts about Dad wouldn't be complete without sharing of his latest endeavor (he often has MANY projects going at the same time); gardening boxes; he calls EZgroe. 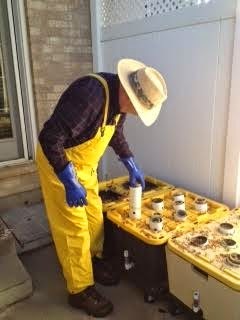 He's spent months perfecting the process of easy back-patio gardening boxes - with just water and nutrients. Anyway, this is a very short version about a very long well-lived life. I've learned a LOT from my Dad (I've taught him patience) and I'm grateful for his life and his willingness to sacrifice so much and to raise a family up unto the Lord. Dad is very humble and will never share about his many accomplishments but he is always willing to help those who ask him for counsel or advice. He and Mom have been my BEST support as a single-parent for 15 years. Without them I couldn't have made it through the trials I've gone through. Dad has been very supportive of me being an at-home Mom (my greatest desire) and has prayed for and with me in figuring out ways that I could fulfill my most important role as a mother while finding a way to provide for them as well. Happy Birthday, Dad. I appreciate all I have learned from you! For their FIRST celebration of Dad's birthday Mom gave him a baby son, Curt! He's now got a family of his own - 5 precious children - and...it's his birthday today as well. I'll post about him tomorrow. I LOVE my brother, Curt!! !